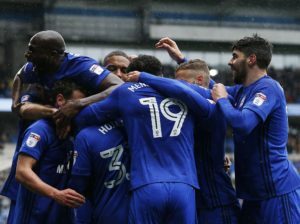 Betting Tips Brighton vs Cardiff – This confrontation is very important for both teams in terms of avoiding relegation. Cardiff is on the first retrograde position, while Brighton ranks just above the red line. The two teams are separated by 5 points and Brighton has a less played match. Therefore, if Brighton defeats, we will know in high proportion that the 3rd team will be relegated this season. 1. 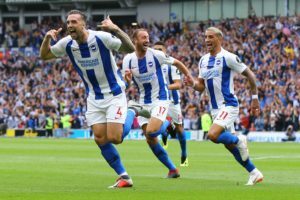 Latest info before playing Brighton vs Cardiff betting tips! He is on the first position above the relegation line, at a distance of 5 points from the first retrograde position currently occupied by Cardiff. It goes through a weaker period and comes after four consecutive defeats without a goal scored. In the previous round he was disappointed to be defeated with the score of 0-5 even on his own field in confrontation with Bournemouth (see summary of the match here). On his own, Brighton has won 6 wins, 4 draws and suffered 6 defeats this season of the Premier League. He will not be able to rely on the French midfielder Knockaert. He is suspended after seeing the red card in the previous round. It occupies the 18th place in the ranking and is at a distance of 5 points from the first team in the safety area. He suffered 6 defeats in the last 7 stages. He has not managed to score a goal in 4 of the last 6 rounds. He has only 8 points this season after 2 wins, 2 draws and 12 defeats. It is the only team in the championship that has not yet exceeded the barrier of 10 goals scored in the away game. 2. Brighton vs Cardiff probable teams. Brighton: Ryan – Montoya, Duffy, Dunk, Bernardo – Propper, Stephens, Bissouma – Andone, Murray, Jahanbakhsh. Cardiff: Etheridge – Peltier, Morrison, Manga, Bennett – Arter, Gunnarsson – Murphy, Camarasa, Hoilett – Zohore. In the tour of this season, Cardiff scored 2-1 against Brighton. Cardiff has not been forced into any of the previous 5 trips to Brighton. This is a “6 point” match in terms of struggle to avoid relegation. Brighton comes after a shameful defeat, suffered with a score of 0-5 against Bournemouth. Moreover, he will not be able to rely on an important player such as Anthony Knockaert who was eliminated in the previous round. Keeping in mind that Brighton has 5 points ahead of Cardiff, I think 1 point would please her in this confrontation. On the other hand, Cardiff comes after three consecutive defeats and therefore has little chance of staying on the first stage of British football. Cardiff has not scored in any of the previous 3 moves in the championship, but Brighton disappointed by defeating the score by 0-5. I’m waiting for a closed game, in which the two teams will taton a lot. Therefore, my recommendation is to bet on the Pause or Final Equality bet.